Suzanne saw that she was in the middle of a clearing, in which hideous men were moving back and forth by the light of three red fires. Saurian gazes filtered between narrowed eyelids, shaded by enormous hairy brows. Thick hair bristled on pentagonal skulls. Their teeth were the color of jade; their ears were pointed. A precursor in the genre, Nymphaeum features a Lost World located in Siberia inhabited by amphibious humans lived. The Depths Of Kyamo and The Wonderful Cave Country are exotic versions of Journey To The Center Of The Earth and feature giant, intelligent bats who live in underground caverns. The Wild Boar Men take place on a mysterious island inhabited by savage Boar-Men, with locales such as the Blue Forest, the Red Forest, The Infernal Rocks, the Vlugt Pass. 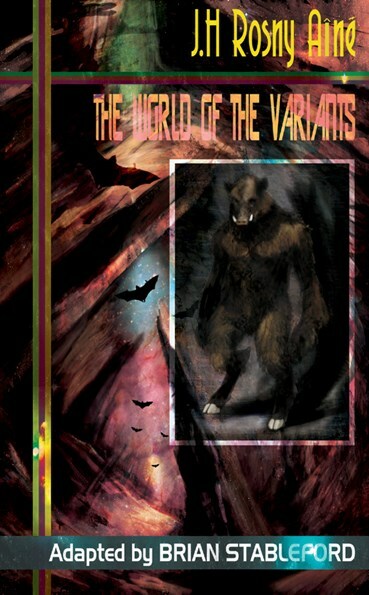 The World of the Variants feature a parallel world which certain privileged humans can inhabit.